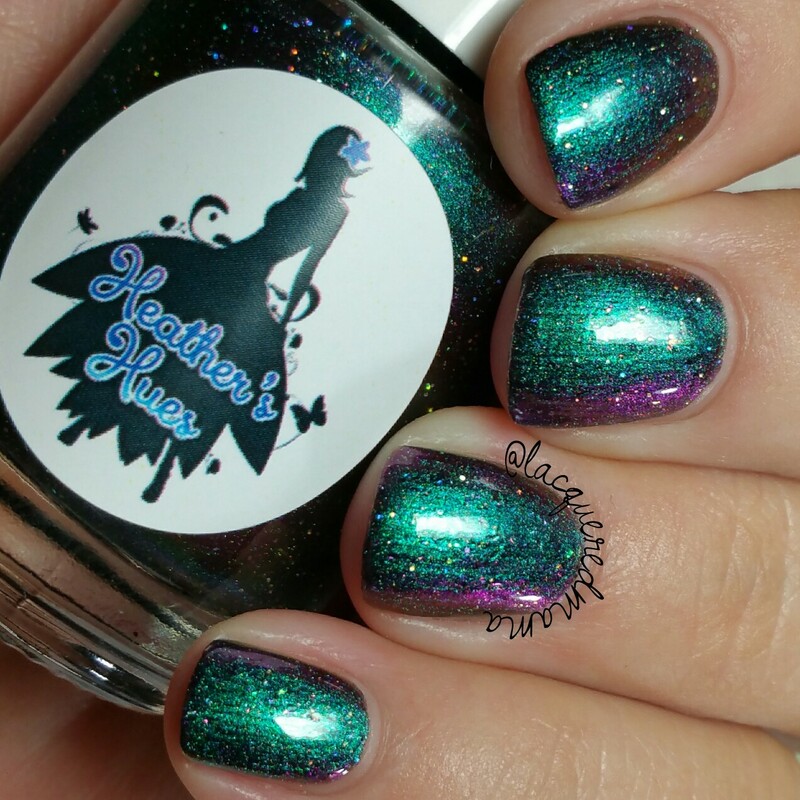 Hidden Magic is a gorgeous iridescent base that shifts from blue to purple to pink. It's packed with linear holo, holo microglitters, and holo flakes, iridescent chameleon glitters, and a mix of iridescent color-shift flakes. Here I did three thin coats, plus topcoat. Depending on your application you may get away with just two. This would also look amazing as one coat over a dark base. This dried slightly textured, but was fairly easy to remove. Moonstruck is a beautiful purple linear holo polish with blue shimmer that sort of glows from within and gives it a blurple-like hue! 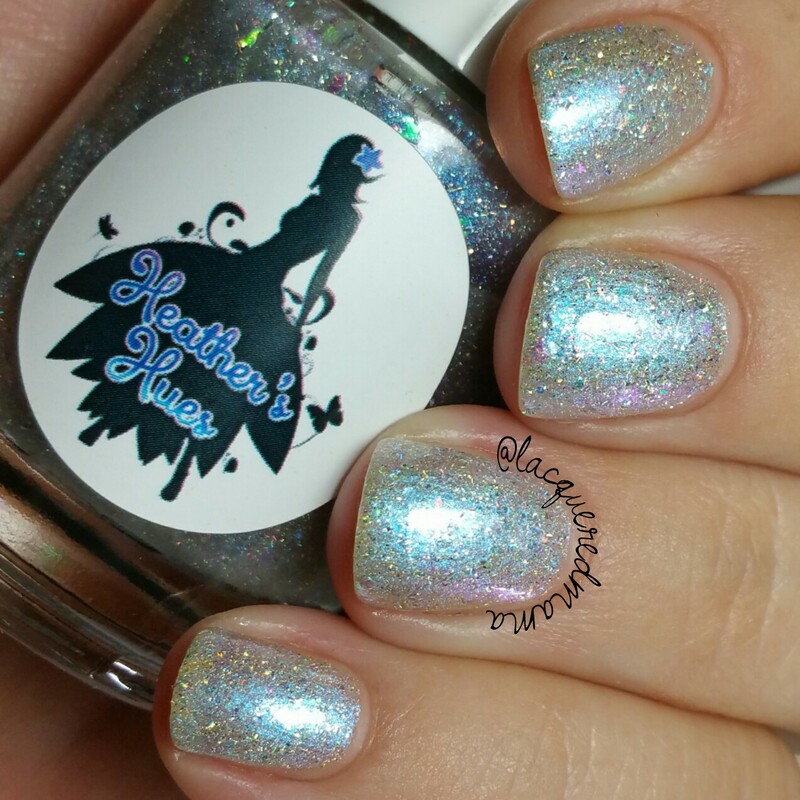 It's sprinkled with a mix of iridescent color-shift flakes and multichrome flakes in pink, blue, green, teal, and violet. Here I did two coats plus topcoat. It dried to a satin/matte finish and was easy to remove. Kaleidoscope is a stunning rainbow multichrome polish filled with a rainbow mix of multichrome flakes, linear holo, and a touch of holo microglitters. This beast shifts violet/purple/blue/teal. Here I did two coats plus topcoat. This dried a little bit matte and slightly textured, but was easy to remove. I pretty much love everything Heather makes! My favorite of these is definitely Kaleidoscope! The shift is amazing! These will be available for pre-order now through August 5th and will not ship until approximately two weeks after the pre-order ends. 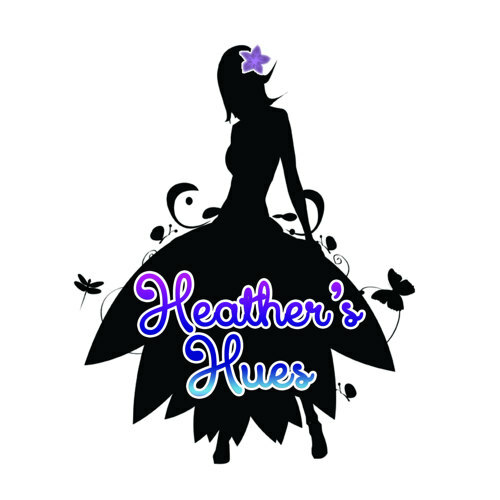 Heather's Hues Nail Lacquer is offering HHC members a 10% discount in her shop (excludes "Hues In-die Box?" and custom items) if you purchase an HHC polish. That discount code can be found HERE, but you must be an HHC member to view it. GAH!!! Moonstruck and Kaleidoscope are gorgeous!! i really love these shades with glitters in them. they are quite catchy which is all this is about. i am going to try them as well.